A lifelong dog lover, internationally heralded singer/songwriter, Jeanie Cunningham, has been rescuing mutts for as long as she can remember. So, it was only natural that her passion for saving animals would be combined with her remarkable composing and performing talents to create the Los Diggities series—the story of three discarded dogs. Most of Jeanie’s professional life has been spent performing across the globe with her own band, as well as recording with musical greats such as Ike and Tina Turner, and touring with Lionel Richie and David Crosby. She has seven internationally released albums, featuring original songs that topped the charts in Europe and the United States. Her critically acclaimed voice and song-writing skills have been featured by companies such as Toshiba, Epson, Chevron, and Hewlett Packard, along with dozens of others. The country of Aruba commissioned Jeanie to write her now famous anthem, We Will Remember. Jeanie’s remarkable musical talents range from composing a full-length opera to hundreds of original pop, classical, and promotional songs. Since infancy, she’s also shared her life, home, bed and occasional meals with canine pals. Along the way, she has mentored and taught human children life-lessons and ukulele skills. 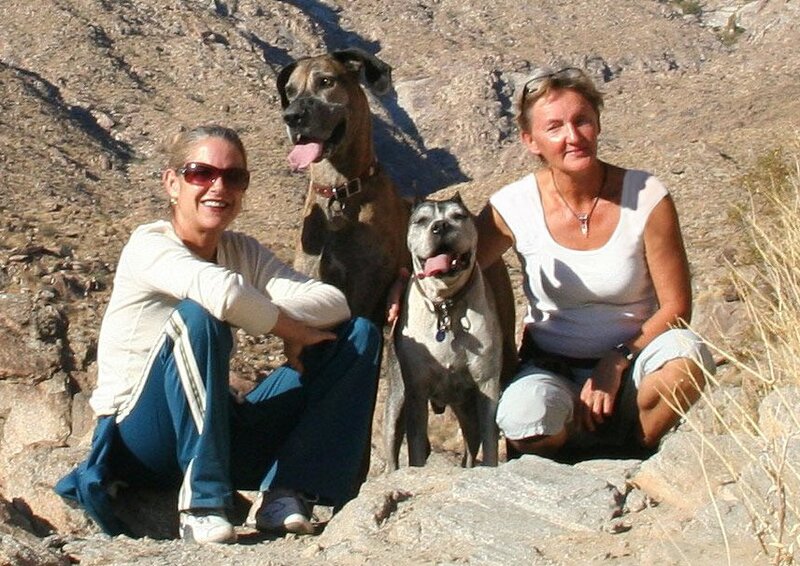 Xena and Oscar, two of the very special companions who have blessed Jeanie’s life (along with their best friend, Oso) inspired her to combine her passions for music, story telling, and teaching to create the Los Diggities series of stories. Raising awareness of the plight of homeless animals and their need for good homes is at the heart of Los Diggities. By bringing their stories and personalities to kids of all ages, Jeanie utilizes the magical personalities of Xena, Oscar, and Oso to impart life-lessons that are both important and delightfully entertaining. Norwegian-born, musician, author, and teacher, Elisabeth Thormodsrud, has devoted her life to music and special education. She is recognized as one of Norway's leading experts in the field of digital reading and writing aids, as well as text-to-speech systems, working with children and adults, alike. But her real passion is playing the ukulele, which she also teaches. She is the author of three books on the ukulele that are used in much of the Norwegian school system. (www.goymedukulele.com) She regularly commutes between Norway, Spain, and the United States, both on business and to enjoy her other two passions, hiking and biking. Elisabeth began collaborating with Jeanie on the Los Diggities series in 2013, bringing her unique brand of creativity and production expertise to these remarkable stories.